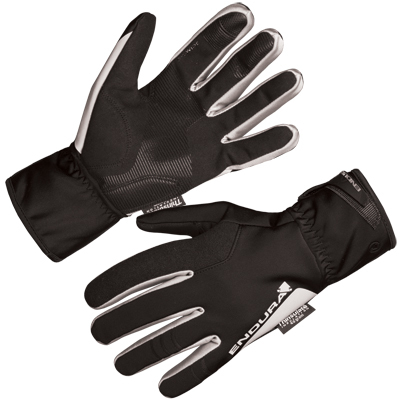 Winter waterproof bike glove with superstretch Neoprene® outer and wicking terry liner. Perfect road and commuter product with good dexterity. 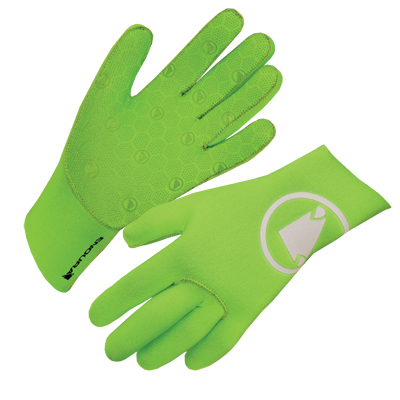 Our ever popular Pro Nemo Waterproof Glove has been a great seller for many years. 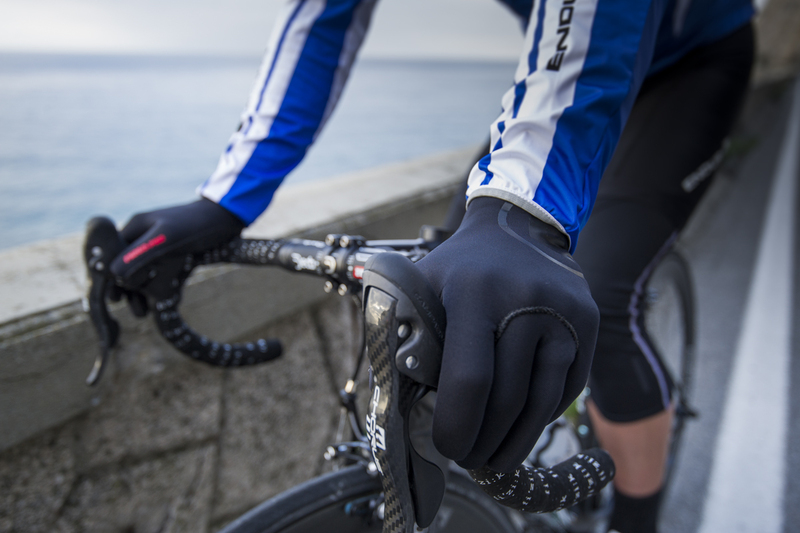 We wanted a bike glove that would insulate in the worst of weather without compromising bar grip and dexterity – neoprene fabric is ideal for this. The Pro Nemo Glove is an essential piece for your kit bag for any rider tribe. 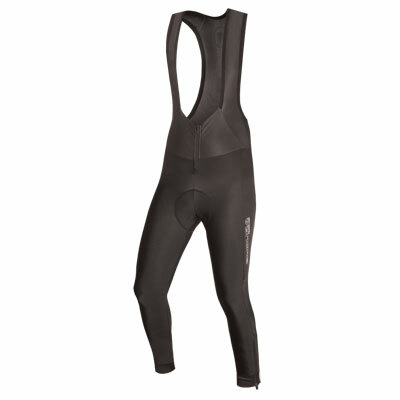 Used in wetsuits, neoprene is inherently waterproof. 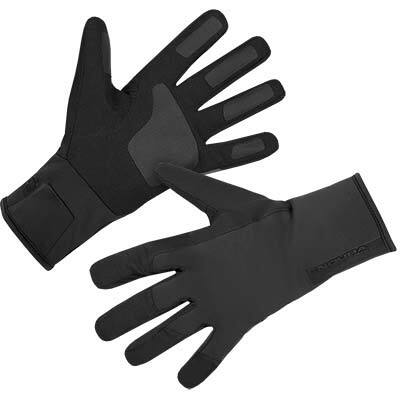 Combine that with welded seams and you have an impenetrable waterproof glove to protect you in the worst conditions.The lining is even a soft terry fabric for that instant pull-on warmth and wicking comfort. Often used in poor visibility conditions, Pro Nemo Glove comes with some high visibility reflective trims to help keep you safe on darker rides. "These superb Endura “wetsuit style” Neoprene gloves actually harness wetness as a weapon against cold... the Nemos will keep your digits genuinely roasting hot. 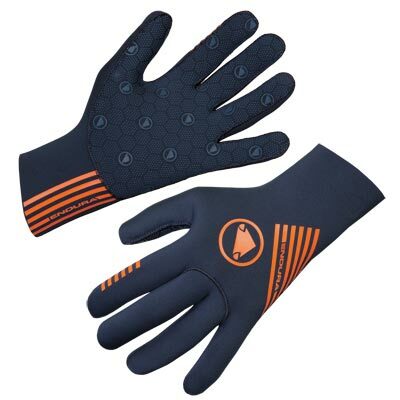 Unlike other Neoprene gloves we’ve tried, a clever cut and just the right thickness of material means they don’t crush your hands into arm pumping agony. They’re durable with silicon patterns on the palm for control even on sodden, muddy grips." 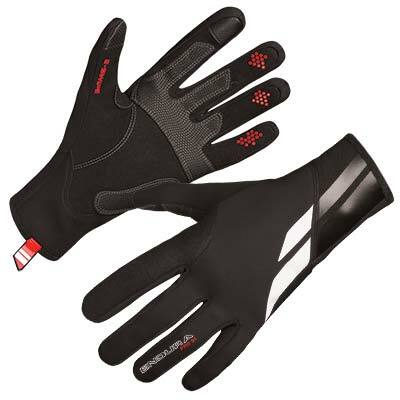 "If it's absolutely rinsing it down, neoprene gloves keep you warmer for longer, and these ones from Endura are the best we've used. The fit is spot on: snug enough to stop cold spots or lack of feel, but not so tight they restrict blood flow. Plus they're thick enough to insulate without affecting mobility. The palm, thumb and fingers are fully silicon dotted for confident grip even on wet untapped bars. They're durable at an excellent price." "The nemos are soft and supple enough for easy gear changes as well as managing to combine warmth with the necessary breathability, all in a snug-fitting glove that won't slip an inch... you'll never feel the loss of warmth. Superbly made at a decent price." 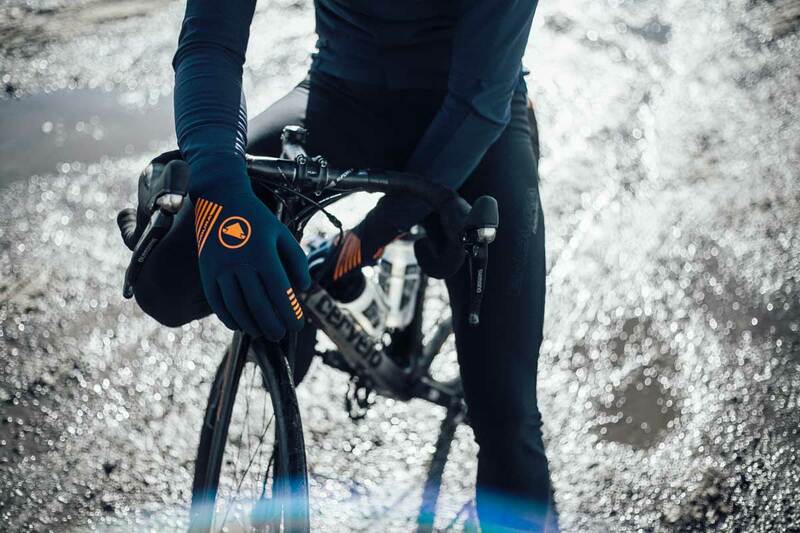 "Guantes Nemo: Gran tacto, buen agarre, sin duda uno de los productos con los que hay que contar para recurrir a él en días extremos en los que normalmente no saldríamos con la bici.."
"...they make up for in warmth and durability. Made from the same material as wetsuits they'll keep you toasty even when wet by trapping any water against the skin where your body can get to work heating it up. (...) These particular models are an excellent fit, and feature welded seams, reflective trim and grippy bobbles across the entire palm." "These are the favourites of our northern test crew. 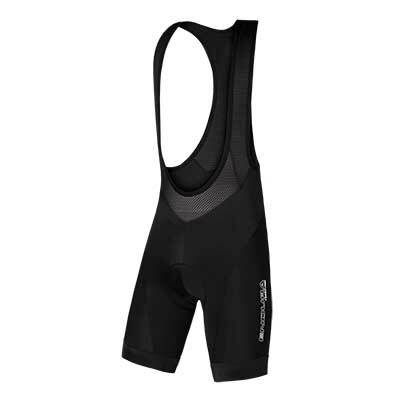 The stretchy neoprene is thin enough to avoid hand ache and stay comfortable on longer rides or even through cyclo-cross races. There's plenty of all weather bar grip too... they insulate extremely well, even in damp... Well priced and well made too." 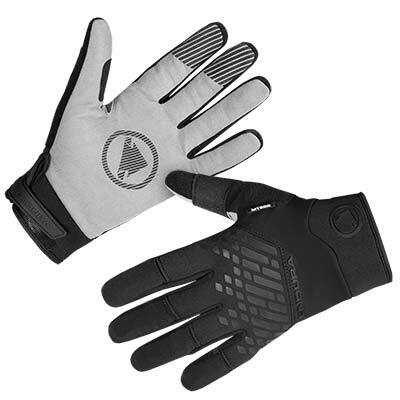 "Call us fatalistic about the forecast but we reckon we'll be wearing these excellent new Endura wet weather gloves as much in summer as we have in spring. Neoprene gloves for simple but effective wet weather insulation are nothing new, but it's the weight and fit of the Pro Nemos that make them stand out. 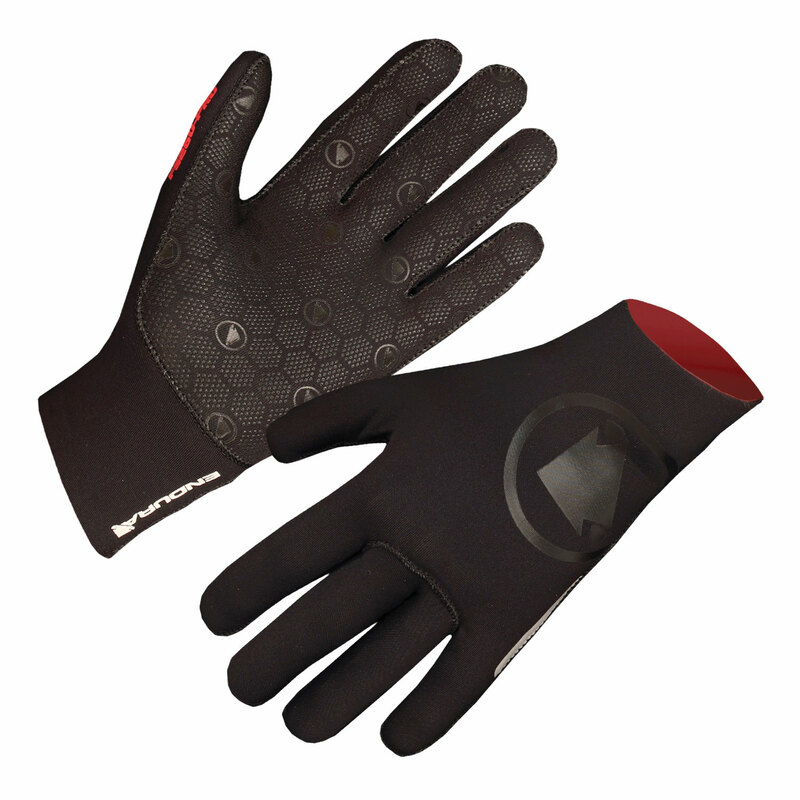 Unlike most neoprene gloves the aptly named Nemos are soft and flexible enough to keep blood flowing and let you feel small controls such as Shimano Di2 buttons. They fit really well round the cuff and palms too and they've got silicone grippers so they don't slide about on untaped base bars. While you will get wrinkly stinky pinkies after a long ride in them, they maintain a decent temperature however hard it rains or blows and you can even use them for open-water swimming. 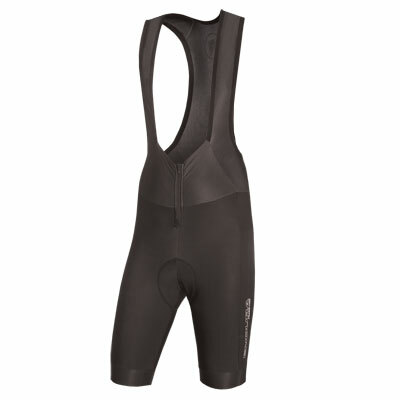 They're really well priced too, which seals the deal on making them a wet-weather multisport essential." "Neoprene gloves for simple but effective wet weather insulation are nothing new, but it’s the weight and fit of the Endura Pro Nemos that make them stand out. Unlike most Neoprene gloves, the aptly named Nemos are soft and flexible enough to keep blood flowing and let you feel small controls such as Shimano Di2 buttons.